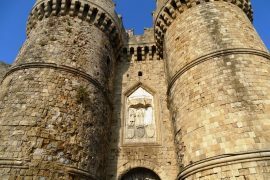 Looking for adults only hotels in Rhodes? No children running around who bump into you or knock over your drink. No crying babies, daring or screaming toddlers. No flying balls or splashing water. Even the most loving mother or father sometimes dreams of it, right? Of course, children can be quiet and play sweetly. But even then it can be very nice to have a holiday in an accommodation for adults only. Making time for each other is important for every relationship. And you really do not have to hate children to long for such a place. In our hectic lives in which we run constantly, it is nice to occasionally make time for each other. Quality time with a good conversation, good food and a delightful bed. 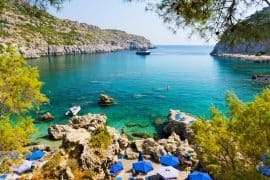 If you want to combine these wonderful features with a visit to a Greek island, then you came to the right place. 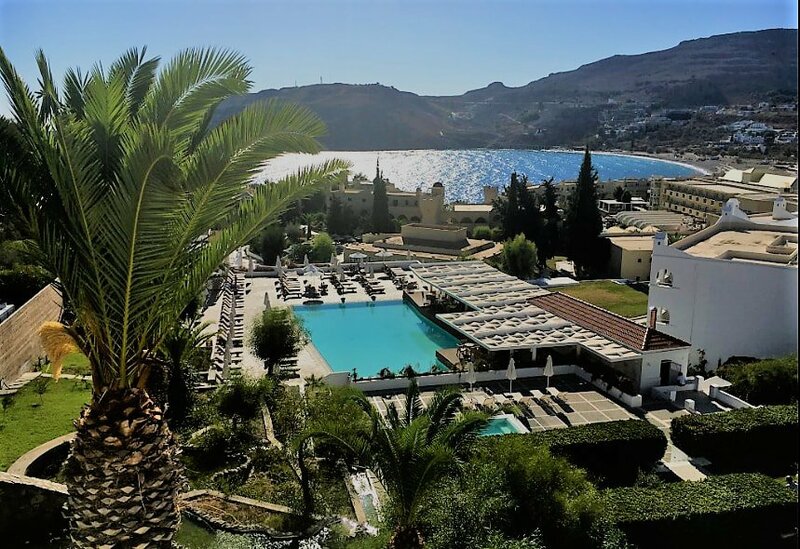 I have listed the best adults only hotels in Rhodes. Casa Cook Rhodes is a beautifully styled boutique hotel surrounded by an olive garden, the mountains and the beach. This exotic place is located in the village of Kolimbia. 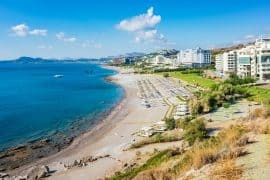 Rhodes town is 24.1 km from Casa Cook Rhodes and the famous Faliraki with its entertainment and nightlife is at a 11.3 km distance from the property. The rooms are fitted with a flat-screen TV with satellite channels. Certain rooms include a sitting area and some have views of the mountains or garden. The rooms have a private bathroom with bathrobes and slippers. There is also a pool, a bar and an airport shuttle. 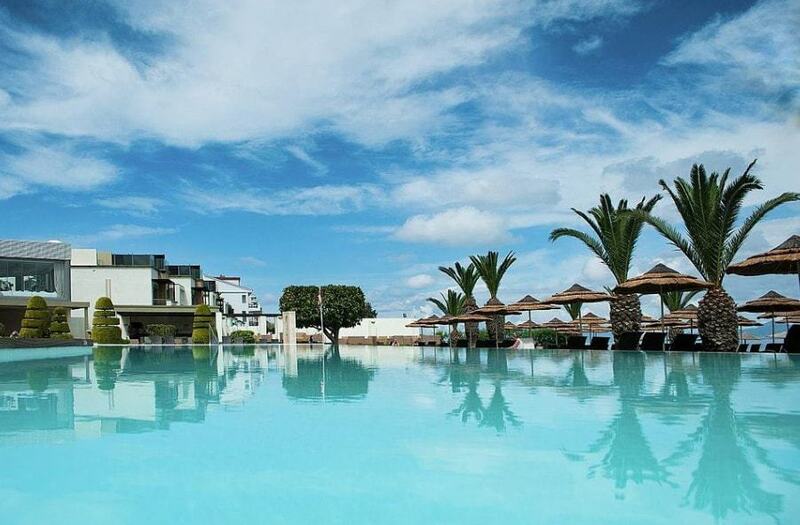 Sentido Ixian Grand is located right on the beach with palm trees and stunning views over the ocean. 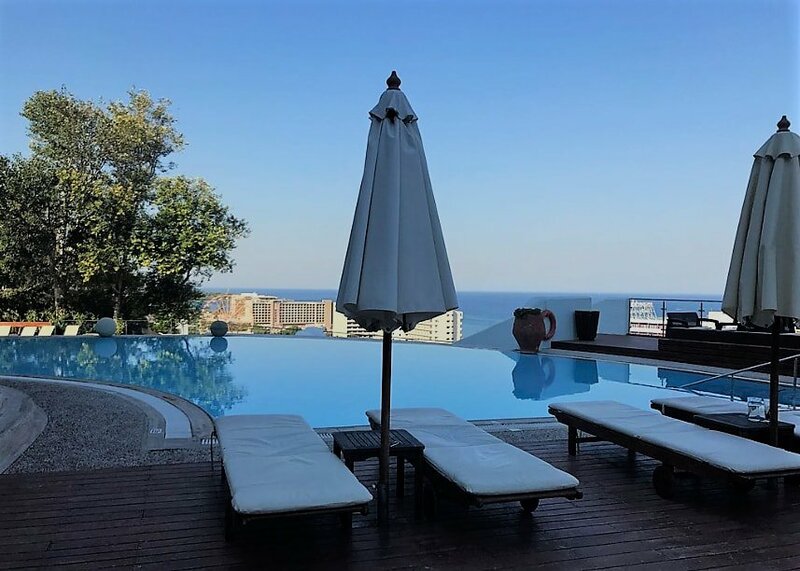 This property is considered very good value for money it is located in Ixiá, that is 48.3 km from Marmaris, Sentido Ixian Grand – Adults Only features a seasonal outdoor pool and fitness center as well as an on-site restaurant. All rooms come with a flat-screen, some have a sitting area and views of the sea or pool. Bathrobes, slippers and free toiletries are included. There are also a gift shop, and shops at the property so there is really no reason to leave the resort during your vacation. 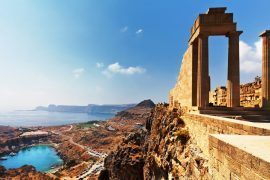 Lindos Village Resort and Spa is build in the shape of a true Greek village with white washed houses and blue doors. Lots of gardens and a large pool welcome their guests to a luxury resort. The Village is located in Líndos, just 41.8 km from Rhodes. The hotel has a sun terrace, a fitness center, and a restaurant. The rooms feature a flat-screen TV and slippers and free toiletries. On site is an ATM, a shared lounge and a hairdresser’s salon. There are also ping-pong and dart facilities and there are bikes and cars for rent. at the property. This is a very stylish minimalist yet romantic designed hotel in the area of Kolimbia. 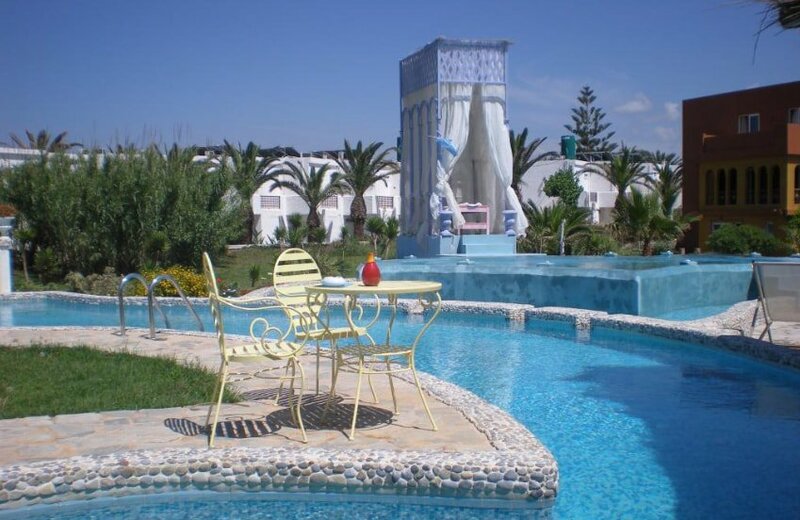 It is a one minute walk from the beach and at a distance of 22.5 km from Rhodes town. 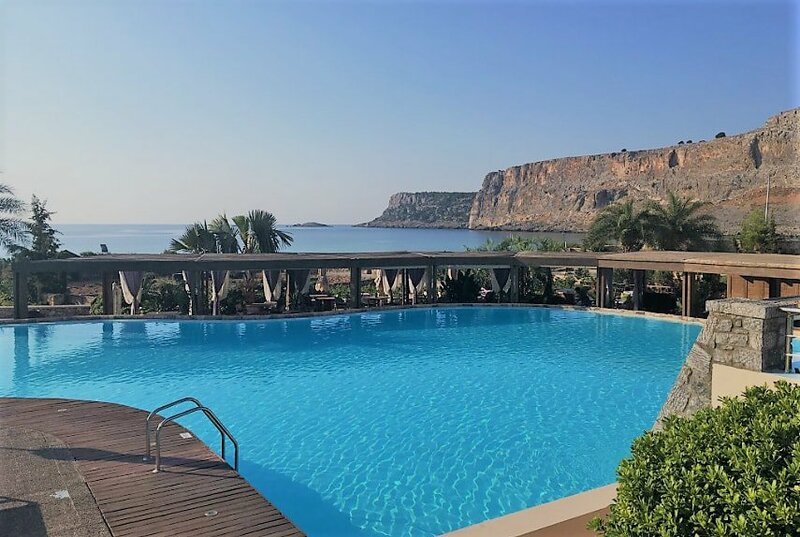 The Sentido Port Royal Villas & Spa – Adults Only features a year-round indoor and outdoor pool, a fitness center and sun terrace. There is also a bar and a restaurant overlooking the pools. Some rooms have their own private outdoor jacuzzi and some have a sun terrace above the pool. Nearby are tennis courts and golf courts. 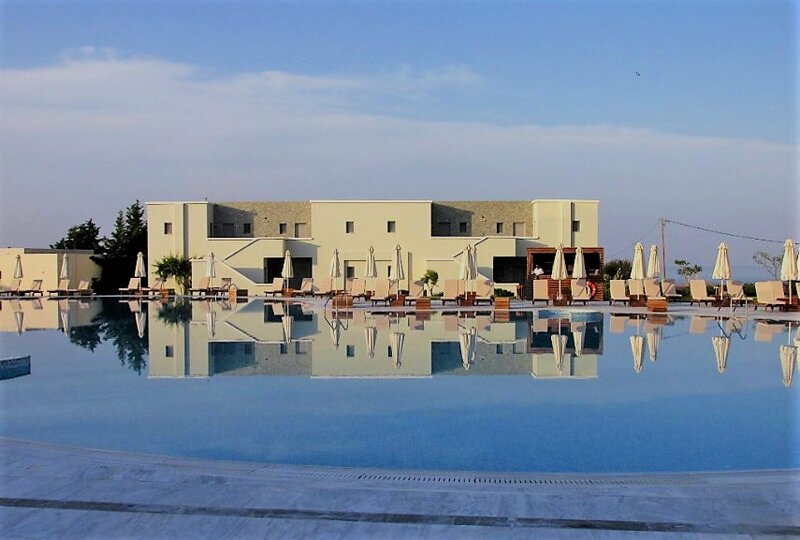 Esperos Village Blue and Spa is located in Faliraki, the most popular resort in Rhodes. Faliraki hosts many taverns, restaurants, bars and is famous for its nightlife. The hotel is located on an elevated area surrounded by beautiful gardens overlooking the sea and beach. The beach is a 4-minute walk away from the hotel. Rhodes town is at a distance of 9.7 km. Esperos Village Resort – Adults Only features a seasonal outdoor pool, a bar, a hot tub and sauna. The best features of the Aqua Grand hotel are its large swimming pools, its great dining options and its spa. Besides large pools, a quiet beach is located at a 18 minute walk distance. 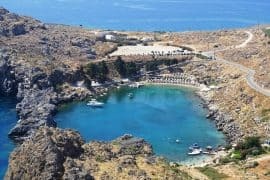 The sea front hotel is near Lindos town. The suites and rooms are elegantly decorated and feature a private balcony but some also include private pools. The state-of the-art Aquasenses Spa offers many health and beauty treatments and there are 3 massage rooms, 2 saunas, a hot tub and a health bar. Fine dining is possible at the hotel, the gourmet dishes are made with local fresh products. Drinks are available at the pool bar, a lounge bar with an impressive dome, and a beach bar with breathtaking views. The city of Rhodes and its airport are around 48.3 km from Aquagrand. 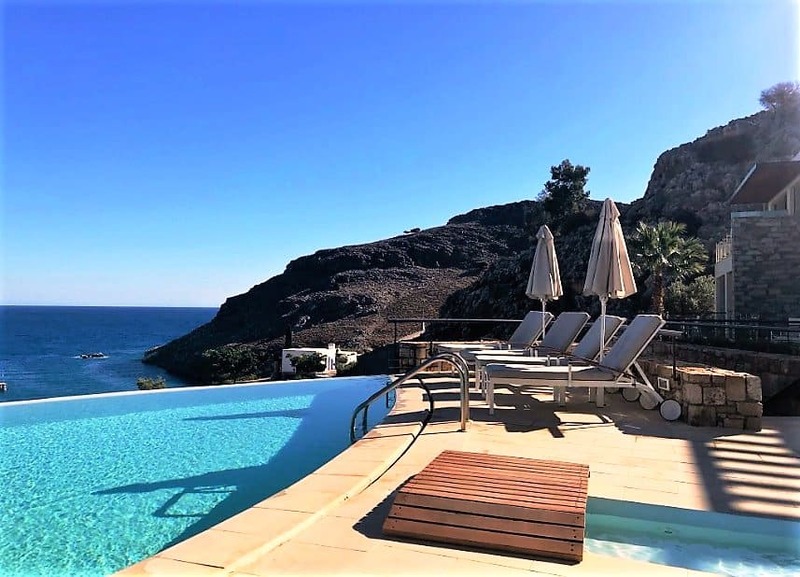 The Lindos Blu Luxury Hotel is one of the best adults only hotels in Rhodes and a favorite of many guests. 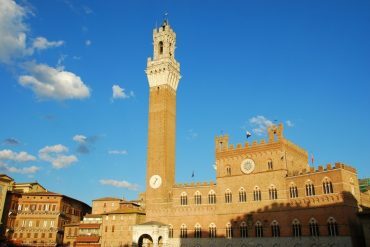 It has amazing decor and architecture and its location overlooking the ocean is its best feature. Some of the suites have an indoor jacuzzi or hot tub and all have private balconies overlooking the sea. This property is 3 minutes walk from the beach and 40.2 km from Rhodes town. The hotel has an beautiful indoor and outdoor pool, a sun terrace and a bar. There is also a sauna at the hotel. 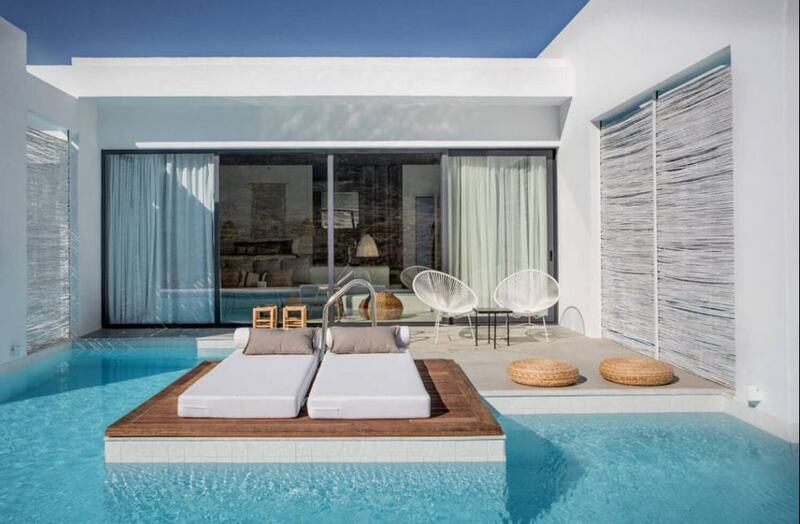 In the properties of these best adults only hotels in Rhodes, you can be sure that you can enjoy in peace. What do you think of a nice walk or relaxation in the wellness centers? Maybe you would like to swim laps in the pool or catch up for a long lunch? Here you will have plenty of time to eat, to read a book and to relax until the sun disappears behind the horizon. And as icing on the cake, you can also sleep undisturbed. You can go home re-charged and rejuvenated!